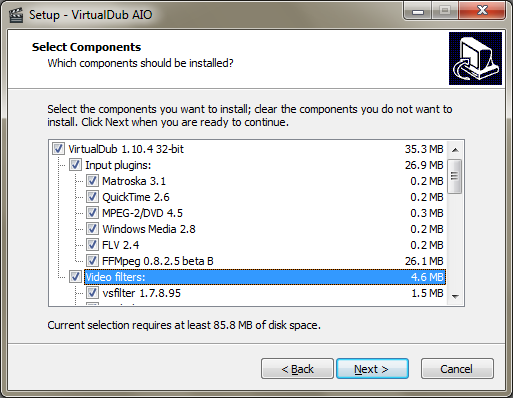 VirtualDub AIO is an unofficial installer designed to quickly, easily and automatically install VirtualDub, input plugins, video filters and VFW/ACM codecs. It will free you from the burden to search and install manually all the needed things and you will be immediately ready to start using VirtualDub. Additionally, the program fixes common misconfigurations.